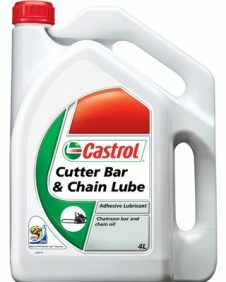 We supply Castrol lubricants for vehicles, machineries and for various other applications. A range of Castrol Oil products are available at our retail service station outlets and can be arranged to be delivered to customers. Formulated to penetrate the chain and adhere to the cutting bar of chainsaws to lubricate and help prevent sap adhering to the chain and bar. Anti-corrosive properties limit machinery failure and repair costs. Increased lubrication improves cutting speed and performance. Less lubricant is needed to cover the saw chain and cutter bar during use. provides good lubrication for most street and off-road two-stroke motorcycles. Road, Motocross, Agricultural, Trail and Mini-Bikes. 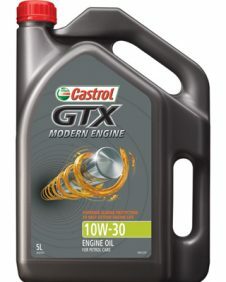 Castrol GTX Modern Engine 10W-30 is a high quality, fuel efficient, ultra refined base engine oil specifically designed to satisfy the requirements of those manufacturers specifying a lower viscosity (SAE 10W-30) type engine oil. Improved engine efficiency for reduced fuel consumption. 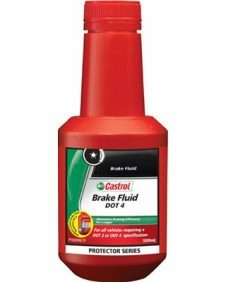 Castrol Response DOT 4 is suitable for use in all brake fluid systems in cars, motorcycles and light commercial vehicles requiring either a DOT 3 or DOT 4 product (excluding where a mineral oil based fluid is specified). 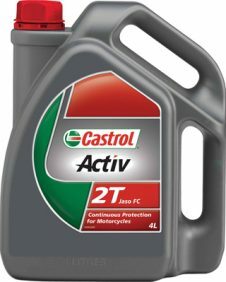 Castrol Response DOT 4 can be used with either disc or drum brakes, including modern vehicles fitted with ABS systems. The product is also suitable for use in hydraulic clutch systems. Greater protection against brake fluid vaporization. Better protection against corrosion caused by absorbed moisture.